We know that stars group together to form galaxies, galaxies clump to make clusters and clusters gather to create structures known as superclusters. At what scale though, if at all, does this Russian doll-like structure stop? Scientists have been debating this very question for decades because clustering on large scales would be in conflict with our ‘standard model’ of cosmology. The current model is based on Einstein’s equations assuming everything is smooth on the largest scales. 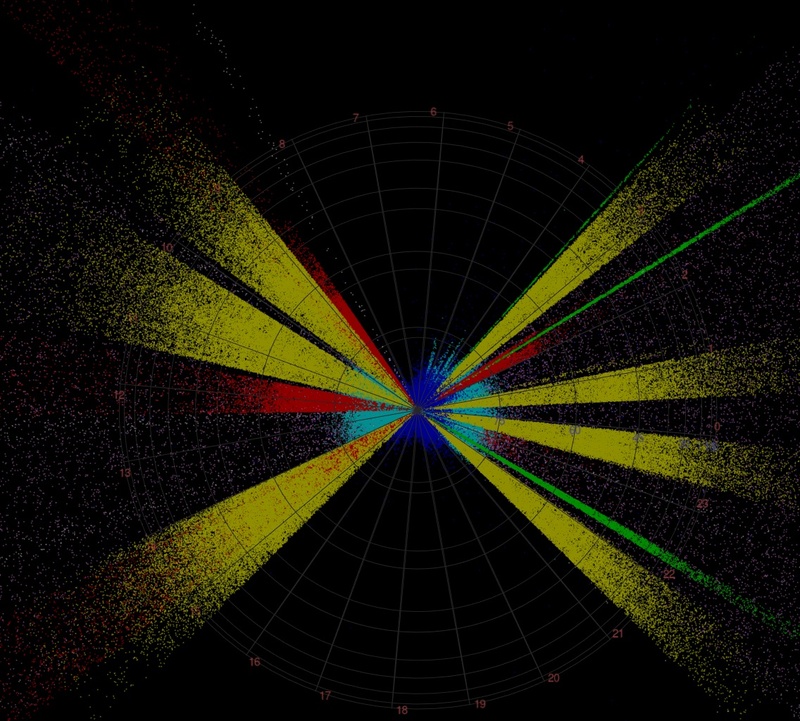 If matter were instead clumpy on very large scales, then the entire model would need to be rethought. This image is a slice from a large simulation called ‘GiggleZ’ which complements the WiggleZ survey. It shows a snapshot of the large-scale matter distribution as studied in Morag Scrimgeour’s research. Image Credit: Greg Poole, Centre for Astrophysics and Supercomputing, Swinburne University. 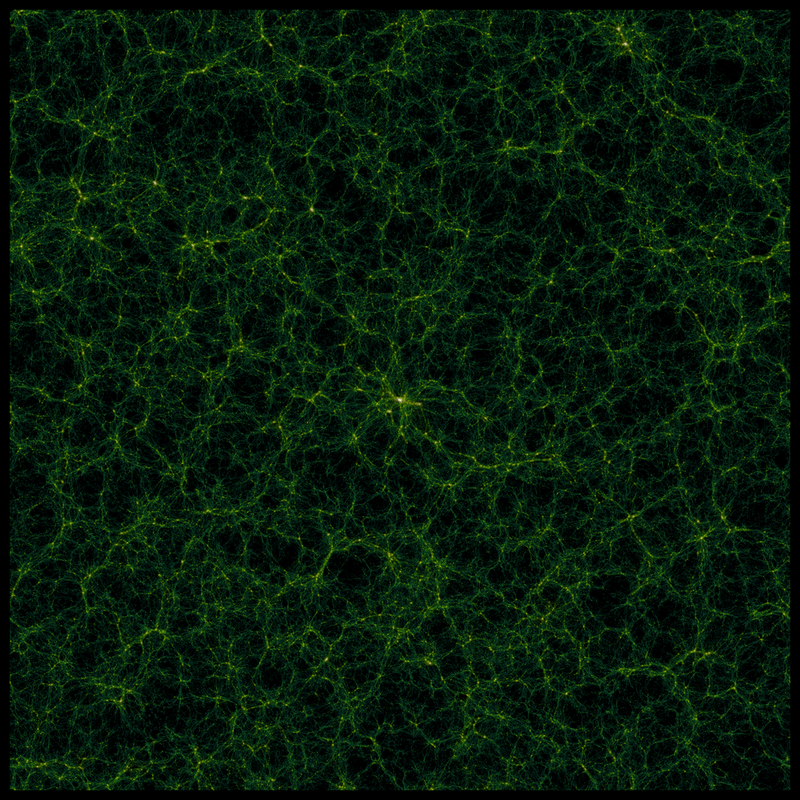 Cosmologists agree that on ‘small’ scales (tens of millions of light years), matter in the Universe is highly clustered. So the ‘standard model’ can only hold true if the Universe transitions to an even distribution of matter (homogeneity) on larger scales, irrespective of the viewing direction. However, some scientists have recently argued that the entire Universe never becomes homogenous, and that it is clustered on all scales, much like one of Mandelbrot’s famous ‘fractals’ (a snowflake is a good example of a fractal). If the Universe has properties similar to a fractal, our description of space and time is wrong, and our understanding of things like Dark Energy is deeply flawed. 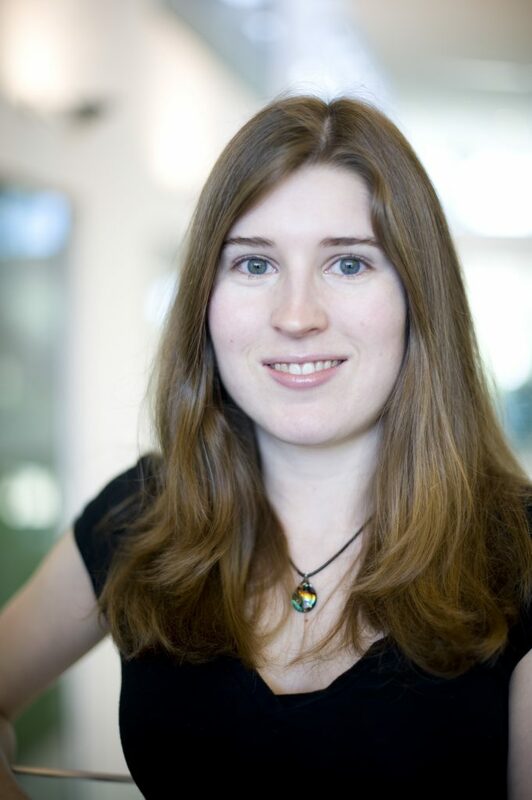 New data from a recently completed galaxy survey was published last night by a PhD student from the International Centre for Radio Astronomy Research (ICRAR) and The University of Western Australia in Perth and her colleagues. This paper might finally put an end to this long running debate. Using the Anglo-Australian Telescope, Ms Morag Scrimgeour has found that on distance scales larger than 350 million light years, matter is distributed extremely evenly, with little sign of fractal-like patterns. This finding is extremely significant for cosmologists as it confirms that the tools being used to describe the Universe are the right tools for the job after all. Had evidence been found confirming large-scale fractals, it would have left cosmologists without a working model for the Universe, sending them back to the drawing board to painstakingly adjust theories. “Our entire understanding of the Universe, even how we interpret the light we see from stars and galaxies, would be affected if the Universe were not even on large scales. 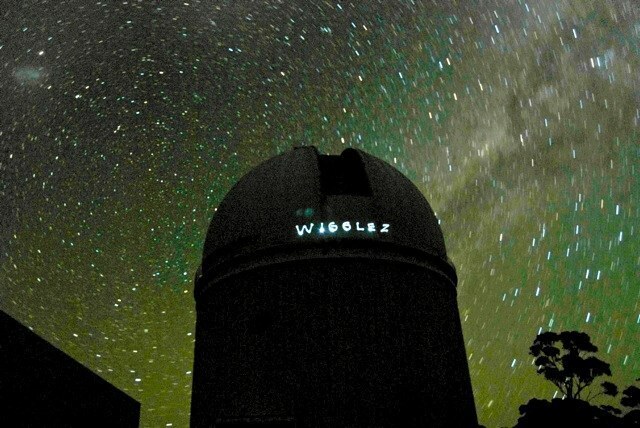 By looking at how the WiggleZ galaxies are distributed in space on scales up to 930 million light years, we find that they are very close to homogeneous, meaning there is no large-scale clustering. So we can say with a high degree of certainty that our picture of the large-scale Universe is correct,” said Ms Scrimgeour. ICRAR is a joint venture between Curtin University and The University of Western Australia providing research excellence in the field of radio astronomy. ICRAR researchers are playing an important role in the design and ultimate success of the Square Kilometre Array radio telescope project. 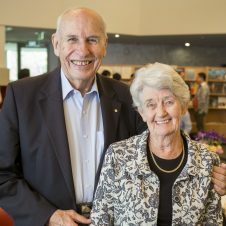 For more information visit www.icrar.org. This project is part of ‘The Dark Universe’ theme of the ARC Centre of Excellence for All-sky Astrophysics (CAASTRO). For more information, please see www.caastro.org. Morag Scrimgeour et al. “The WiggleZ Dark Energy Survey: the transition to large-scale cosmic homogeneity.” Accepted for publication in the Monthly Notices of the Royal Astronomical Society Journal, Vol 425 Issue 1 2012. Morag Scrimgeour explains her latest result in a CAASTRO (ARC Centre of Excellence for All-sky Astrophysics) video. Ms Morag Scrimgeour. Image Credit: ICRAR. A comparison of large southern-hemisphere galaxy surveys. Each point is an observed galaxy, with the Earth at the centre (the surveys look like wedges since they only look in certain directions). The celestial sphere is at redshift=1, which corresponds to a distance of around 10 billion light years. 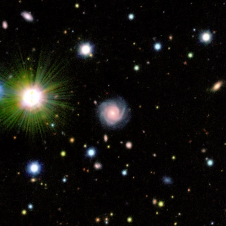 WiggleZ (yellow) is one of the largest, densest galaxy surveys ever made out to this distance. Image Credit: Dr Aaron Robotham and Professor Simon Driver, ICRAR. (The other surveys shown are as follows:WiggleZ (yellow), 2dfGRS (cyan), 6dFGS (blue), GAMA (red), 2SLAQ (white), 2QZ (violet), GAMA (red) and VVDS (green).